Today, USIC LLC announced the acquistion of Blood Hound Inc. According to USIC's CEO Rob Tullman, "We are pleased to announce our new partnership with Blood Hound. This transaction adds capability across the U.S. and significantly expands our existing private loacate and SUE service lines. Their dedication to safety and operating excellence, as well as their innovative and technology driven culture, is perfect match for USIC." 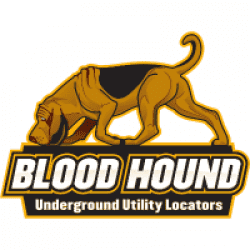 Blood Hound is an underground utility locating company founded in Brownsburg, Indiana as a private utility locating company. Since 1999, Blood Hound has remained fiercely independent, while growing to provide services nationwide. USIC is the largest underground utility locating and damage prevention Company in North America. Its utility locate technicians protect the assets of utility and telecom companies both in the United States and Canada. USIC leads the industry in volume, accuracy, timeliness, and customer satisfaction. The Company is headquartered in Indianapolis, Indiana. Leonard Green is one of the nation's preeminent private equity firms with over $15 billion of private equity capital raised since inception. Founded in 1989, the firm has invested in 69 companies with aggregate value of $74 billion. Located in Los Angeles, California, Leonard Green invests in established companies that are leaders in their markets.